Tickets are now available for our 2019 series (except Remembrance). 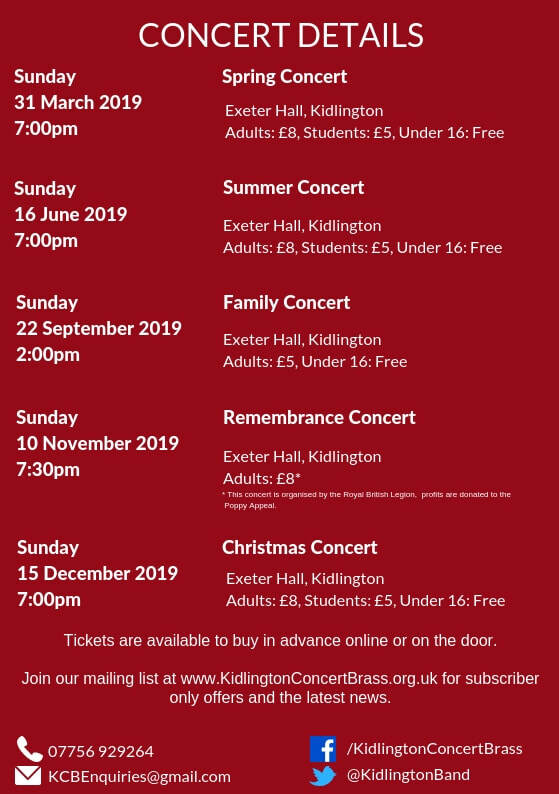 The season sees our popular family and Christmas concerts return, along with the spring and summer concerts. Themes are still to be finalised, so if you have any requests please get in touch!